This gentle face scrub contains honeyquat which is thought to be an excellent cleansing agent. Carrot powder contains minerals and nutrients your skin will love while the apricot seeds and carrot powders add just the right amount of exfoliant to gently wash away dead skin cells. To measuring cup, add liquid suspension soap base. Heat in microwave for 30 seconds. 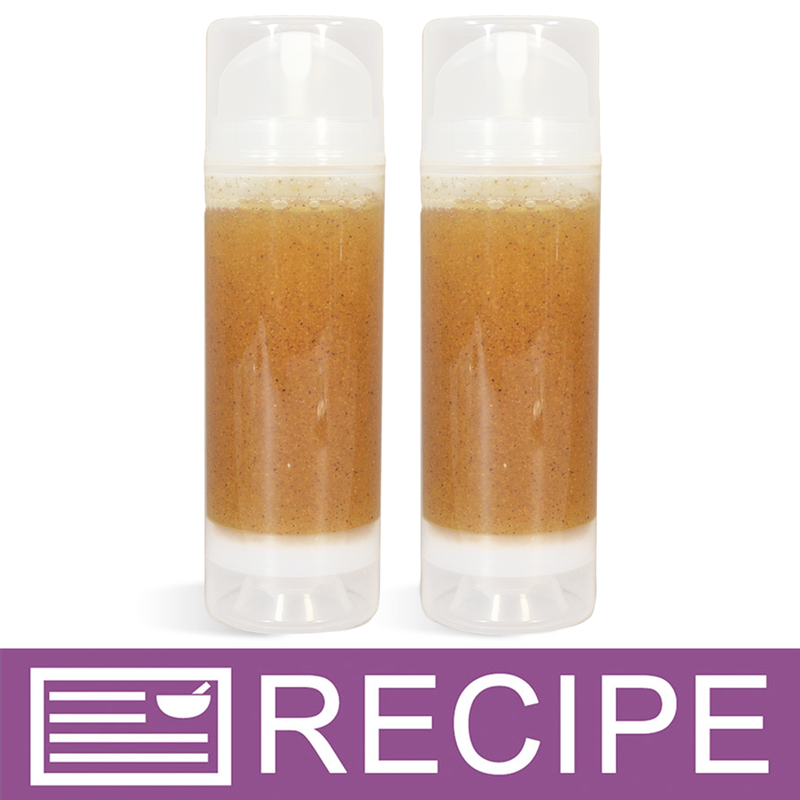 To plastic beaker, add carrot powder and enough liquid soap base to cover powder. Using mini-mixer, blend powder and soap together. Add mixture back into larger cup of soap and stir with wire whisk. Add honeyquat, apricot seeds and fragrance oil and mix well. Fill each bottle to 4.75 oz. by weight. Let cool and place pump top on bottle. To Use: Dispense product and add water. Make a lather and apply to face. Rinse with warm water. Ingredient Label: Water, Ammonium Lauryl Sulfate, Glycerin, Disodium Cocamido MIPA Sulfosuccinate, Cocamidopropyl Betaine, Propylene Glycol, Carrot, Honeyquat, Apricot Seed Powder, Acrylates/C10-30 Alkyl Acrylate Crosspolymer, Disodium DMDM Hydantoin, Fragrance. "My soap got really hard on the inside? What did I do wrong?" Staff Answer Be sure you weighed your ingredients correctly. Is it possible too much carrot powder was added? We are not sure what would have caused this. Please contact our Customer Service Department for further help.